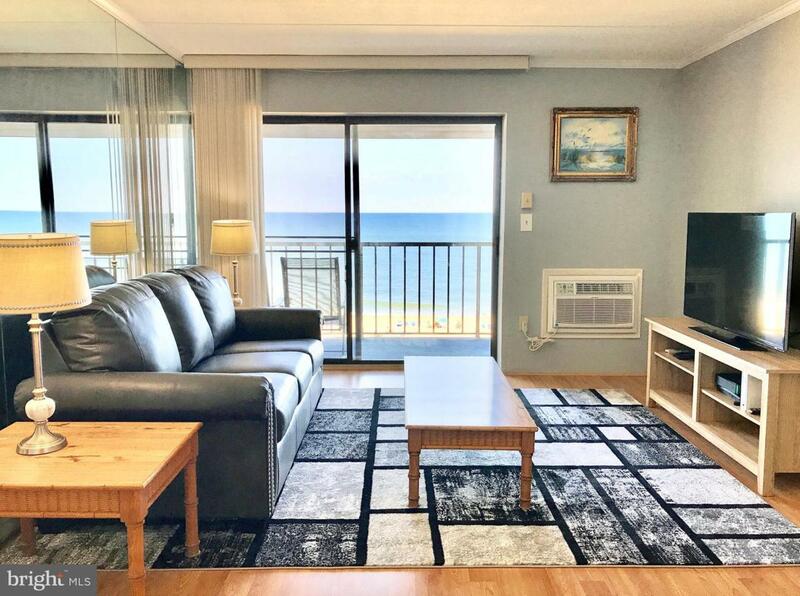 Start your day inspired with stunning sunrises from your fifth floor direct oceanfront balcony in this ideally located mid-rise building with elevator. 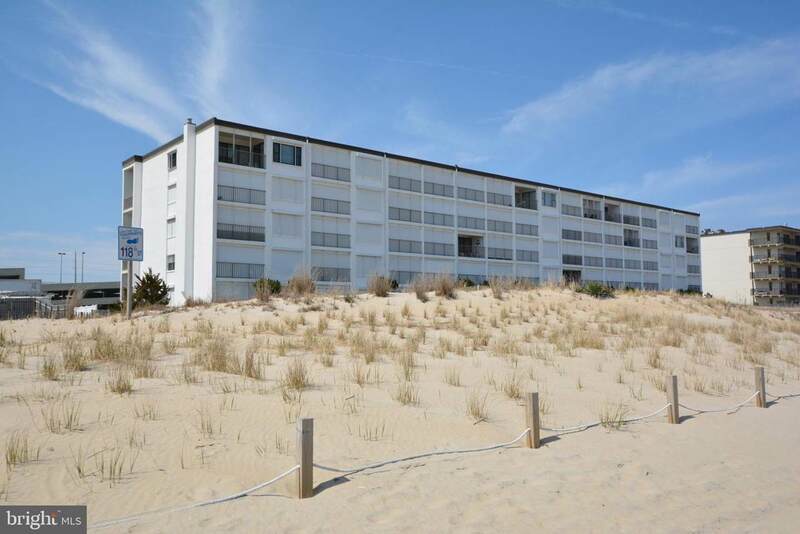 Enjoy easy coastal living in this turn-key unit located in north Ocean City, close to restaurants, coffee shops, entertainment, shopping, and recreational activities. This home has many recent upgrades, including newer furnishings, fresh paint, laminated flooring, updated light fixtures, newer AC wall unit, oven replaced last year, new kitchen sink with new faucet and new garbage disposal, new toilets in the bathrooms, and new granite countertop in the kitchen. 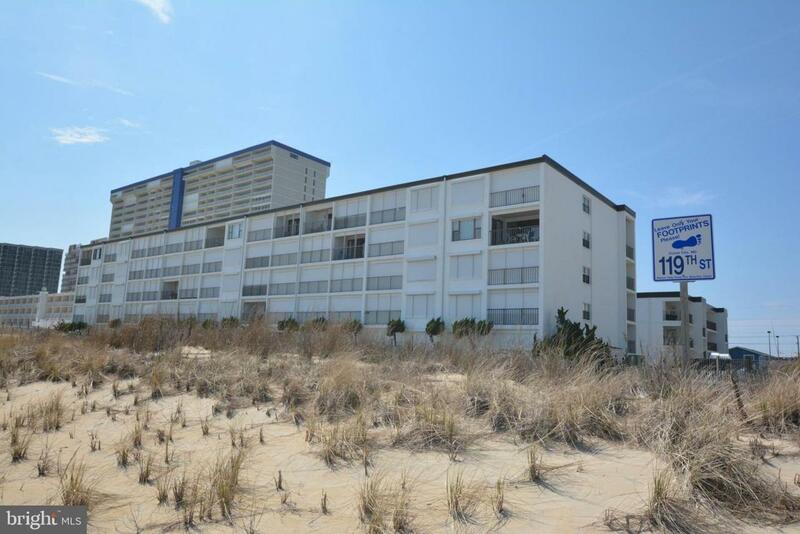 Exterior of unit features oceanfront balcony and electric hurricane shutter. This unit includes one assigned parking space with additional overflow parking for guests in the parking lot. Low condo fees. Enjoy ease of access to the beach with a north and a south side dune crossing. Rental income average $16,000 with owner blocked usage of 6 weeks. Rental potential up to $20,000 in peak season. Currently, $10,000 in rentals booked for the 2019 season. Buyer must honor 2019 rentals.